Within Google’s Q2 2012 earnings results, the search giant reinforced its commitment to Google Enterprise and Google Apps. The statements emerge as Microsoft prepares Office 2013 and Office 365 cloud enhancements. 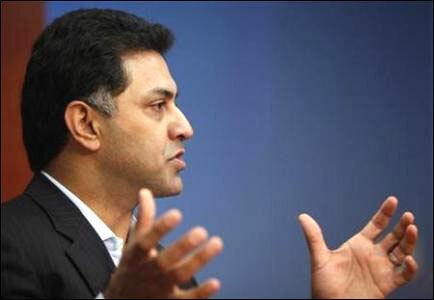 While Microsoft CEO Steve Ballmer largely dismissed Google Apps at last week’s Worldwide Partner Conference, Google (NASDAQ: GOOG) senior VP Nikesh Arora (pictured) sounds upbeat about its enterprise and cloud applications businesses. Indeed, Google’s enterprise business is “reaching a real turning point,” said Arora, senior VP and chief business officer. For Google Apps Authorized Resellers and channel partners, Arora’s statements provide peace of mind as more on-premises applications shift up to the cloud. Google’s recent big bets in the ad business are coming together into integrated platforms. How Google’s investments and search advertising adds quality by helping the search business accelerate. “Let’s acknowledge where we are in the enterprise business. I think it’s become clear for us that we have a serious small but growing business which is going to be a future growth engine for Google. I hope you read this week about a company who said competition was 50% more expensive than Google and “not as cool.” That company is now a $200,000-a-year Google Apps customer. Google now has more than 6,000 Google Apps Authorized Resellers. And roughly two dozen of those resellers already rank among the world’s top 100 cloud services providers, according to our second-annual Talkin’ Cloud’s Top 100 CSP research, unveiled in February 2012. The interesting part for me: Most of those Google Apps Authorized Resellers talk about consulting revenues and project revenues. The recurring revenues are gravy and not a core focus.